We are a full service design company that specialises in commercial interior design and architecture. Our focus is in the hospitality industry. Our focus is on creating holistic design solutions that respond to each client’s commercial objectives and site specific needs. We believe design should have emotional meaning and offer a complete memorable customer experience, but to do so successfully requires more than just aesthetic forms. It also needs inspired strategic thinking, a holistic approach to execution and a fanatical attention to detail. We always approach the design of hospitality venues not just from our clients’ perspective but also from that of their eventual users. This leads us to create warm and enjoyable places that encourage visitors to stay and to return. We are extremely happy and honoured to be shortlisted in the 2018 Restaurant and Bar Design Awards with our Amarillo Restaurant project. Now in its tenth year, the Restaurant & Bar Design Awards is a globally recognized competition dedicated to the design of food and beverage spaces. The 2018 awards received over 900 submissions from the UK and 70 other countries. The winners will be announced during a ceremony at the London’s King’s Cross on the 4th October 2018. 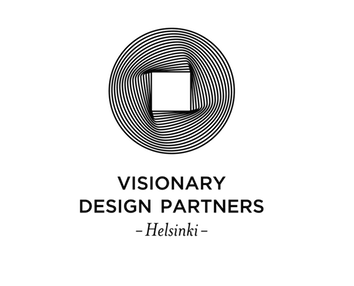 We are thrilled to share the news with you, Visionary Design Partners Helsinki is also featured on architonic.com, the world’s leading guide to the very best of international design and architecture. Our company and projects are presented to the annual audience of over 16 million visitors from all over the world, while they choose ARCHITONIC as their guide to the very best of current design and architecture. We’ve done many restaurant projects together with Jaana Ekman over the years. It is not just about her skillful design work, but also her ability to manage the overall project management. Jaana has an exceptional ability to create beautiful and sensual spaces. Every decorative detail has been carefully thought out. The project was completed with great sense of style, efficiency and attention to detail, I would highly recommend Jaana & VDPHelsinki for any project. TANJA VIRTANEN. PRODUCT LINE DIRECTOR, RESTAURANTS RESTAMAX PLC. Jaana Ekman of Visionary Design Partners Helsinki designed an interior design concept for Makaronitehdas according to the agreed framework. Our cooperation has been fruitful and it will continue within our future projects. Jaana designs beautiful, exceptional and cozy restaurants. She understood exactly what we were looking for in the interior design and project planning. We are very satisfied with our cooperation. Amarillo has a long and productive history. It was wonderful to start Amarillo’s new era here in Kuopio, were the second oldest Amarillo resides. It was great to witness the intensity of a professional design company and their important role in the whole project. In collaboration with SOK, Visionary Design Partners Helsinki Oy and Osuuskauppa PeeÄssä, we were able to create a successful update and with this update, we are able to bring new experiences to our customers in Kuopio. Dishes that encourage social dining, fresh mexican food, compelling milieu and service that is memorable are in the leading role. At the same time, the whole chain is stepping in to a new era, when all Amarillo’s are undergoing an extensive renewal. Tikkari-Talo in Vaasanpuistikko has had many different functions including various different restaurant concepts. Now the new era reinvented Amarillo and the completely new concept “Butcher & Banker” have brought Tikkari-talo to life like never before. The joint project of KPO, VPDHelsinki and SOK cooperative was truly intriguing one and the common intent and determination led to an amazing end result. It was truly a real pleasure to work with VPDHelsinki on a project, where a unique vision was actually realized. We wanted to respect the hundred year history of the building; the interior must be respectful of the traditions, but trendy at the same time. Jaana has managed to combine both in brilliant way. Thanks to expansion the Mylly shopping center is now in a completely new development cycle stage. In the development of operations our main goal is to improve the level of customer experience from good to the most desired in various sectors as products provided, services and service methods as for interior design solutions and the ambience. My goal was to raise the visual customer experience to a new level. Since becoming familiar with the work quality of VDP Helsinki and Jaana Ekman I was convinced that with them we can get into new implementations and moods beyond ordinary solutions already seen elsewhere. I am very happy with her unique implementations, atmospheric, but very practical space and decoration solutions. Cooperation with VDP Helsinki and Jaana Ekman has been uncomplicated and their enthusiasm and commitment to the project has pleased me in particular. I hope that we can work together with VDP Helsinki and Jaana Ekman in the future within several more restaurants projects providing interesting restaurants for our clients. MR. TIMO VEPSÄLÄINEN, CEO PRIME HOTELS INC.
We create unique, timeless and inviting spaces in commercial environments. We always approach the design of hospitality venues not just from our clients’ perspective but also from that of their eventual users. This leads us to create memorable, enjoyable and distinctively stylish places that encourage visitors to stay and to return. We don’t create spaces, we create experiences. The space must support and promote the concept, create sensations and experiences. We work closely with our clients in order to provide the best translation of their commercial concepts. Our goal is to create spaces that are distinctively stylish and creatively unique. Every project is different and presents unique challenges and potentials. The simple recipe for creating an amazing interior concept is a mix of the right ingredients for the right purpose including dialogue, investigation, drawing, cutting, and close collaboration with the client. We don’t offer catalog or turnkey solutions. Instead we aim to offer bespoke total concepts. The result is unique and customised space that respond to client briefs and fulfill their business needs. We offer a variety of services covering all phases of project development. Our skills and longtime experience in planning, sourcing, and purchasing, supported by our project management, are as important to the execution of our projects as our creative vision. We offer an exceptional level of project management, design quality and best value of services to our clients throughout all stages of design and construction. Our focus is on creating holistic design solutions from conception to completion. Our added value is to provide full service. We design and deliver unique bespoke commercial spaces. We collaborate. We like conversation. We have the resources to offer our clients a complete and cohesive package. The designer-client relationship is fostered from conception to completion of projects through the various stages of the concept design, space planning, interior design, tendering and project management process. Linkosuo cafés have been offering tasty treats and delicious moments around Tampere and Pirkanmaa well over 80 years.